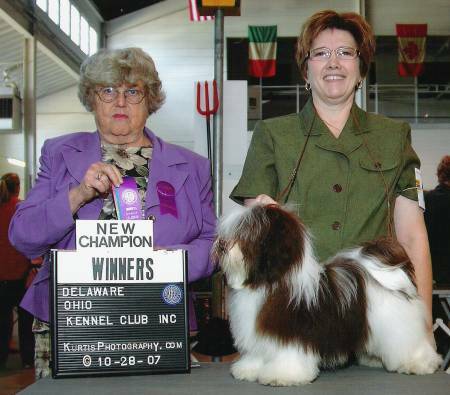 CH SherRex's Brady Of The O'Briens - "Brady"
Brady finished his championship in four weekends going best of breed over three champions for one of his wins. He has that natural showmanship in him. He weighs 9-9 1/2 pounds and is about 9 3/4\" at the withers.